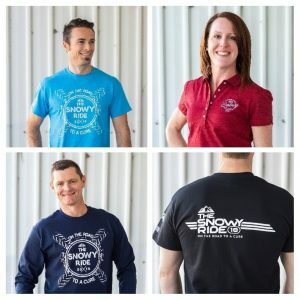 Snowy Ride Merchandise is online NOW! 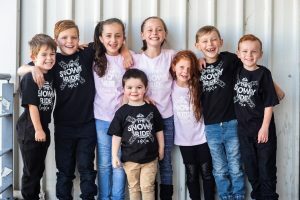 Snowy Ride 2018 merchandise is now available for pre-order online. Online orders are open until Friday 7 September 2018. Place your order here and receive it before you travel to Thredbo! Thank you for your message and apologies that this page wasn’t updated when the online Merchandise orders closed on Wednesday 12 September. We have to close orders in Mid-September to then be able to package and post them all and send the remainder of Merchandise down for sale in Thredbo, Cooma & Jindabyne during Snowy Ride. You will be able to purchase at the Merchandise shop in Thredbo as well as the Cooma checkpoint on the Friday/Saturday/Sunday of the Snowy Ride weekend or at the Jindabyne checkpoint on the Saturday. Thank you and we look forward to seeing you in Thredbo!